Hi, it's me, Owen Ashworth. 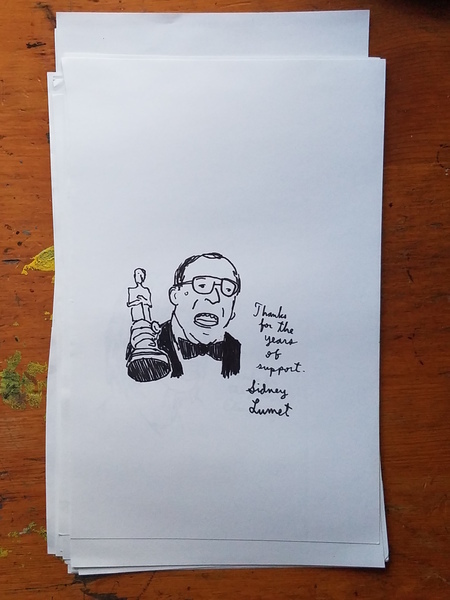 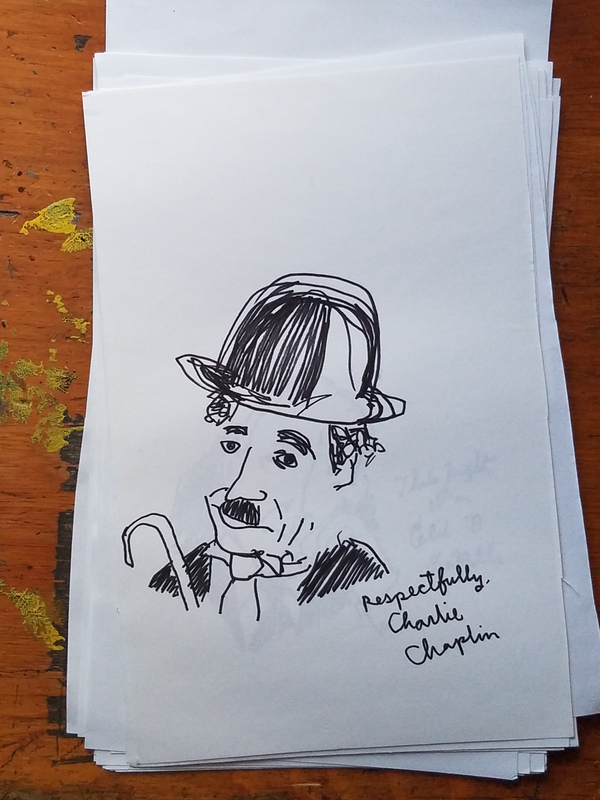 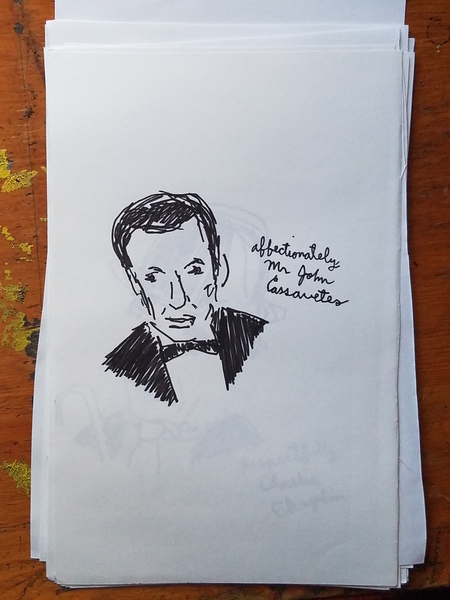 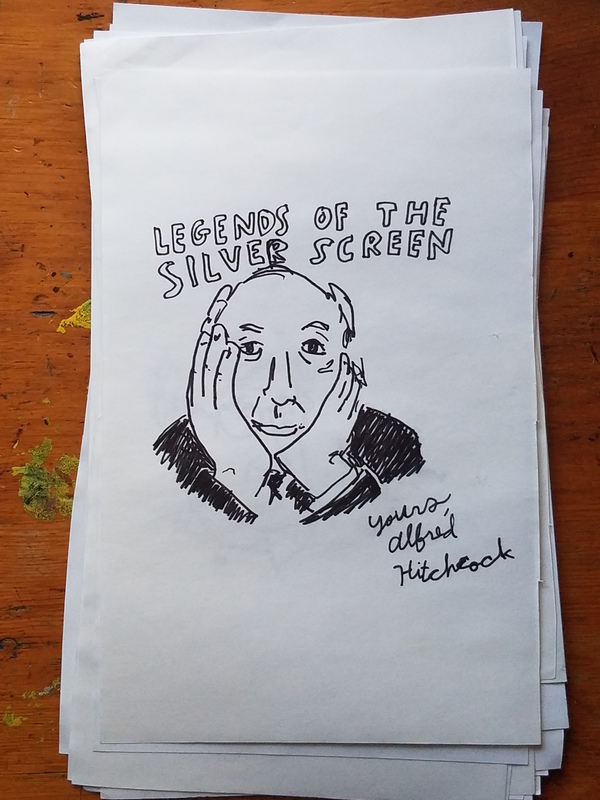 These are the original drawings from my zine Legends of the Silver Screen. I did not think I would be selling these drawings when I drew them, but some people asked about buying them, so here I am, selling them. 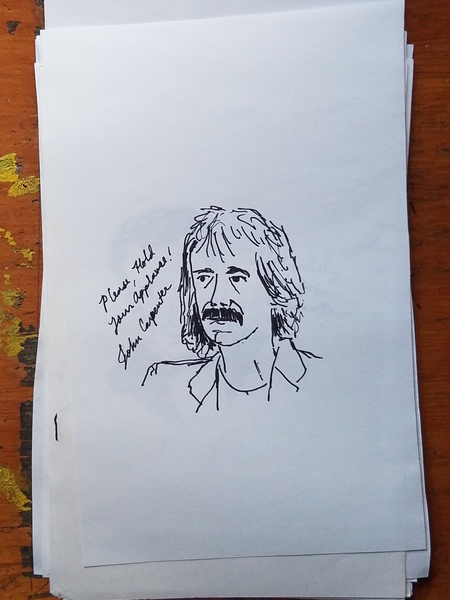 They're $40 each. 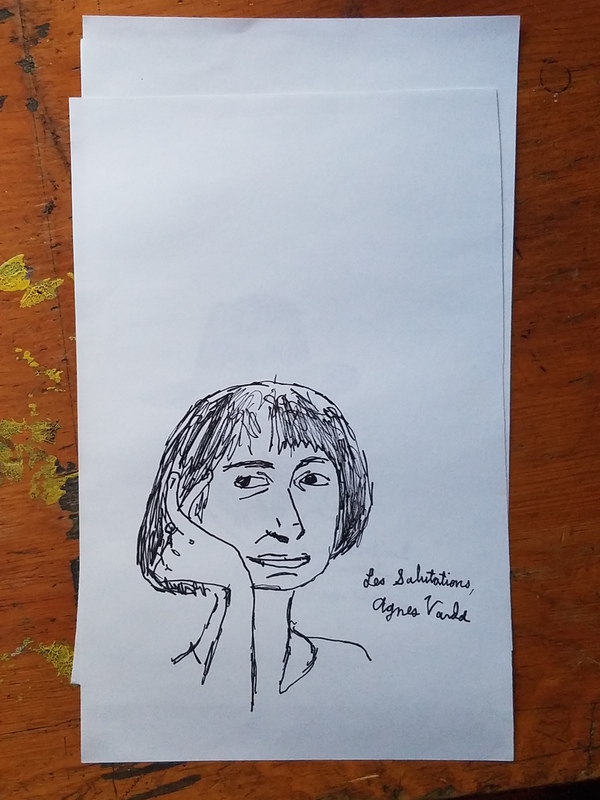 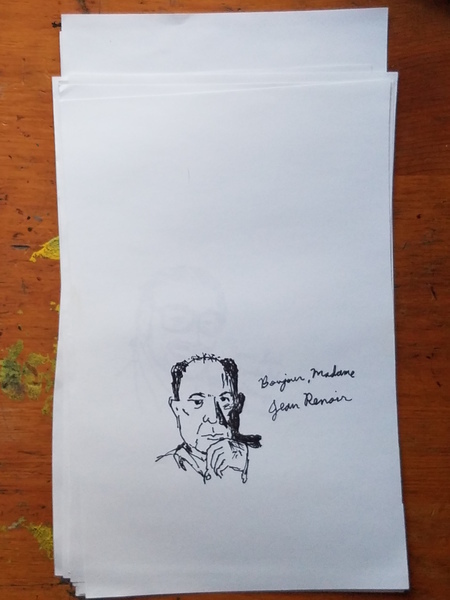 The drawings were made with a black felt tip pen on half sheets of white printer paper that I awkwardly cut with scissors (so, approximately 8.5 x 5.5 inches or so). Some of the drawings have captions from different pieces of paper stuck to them with glue. 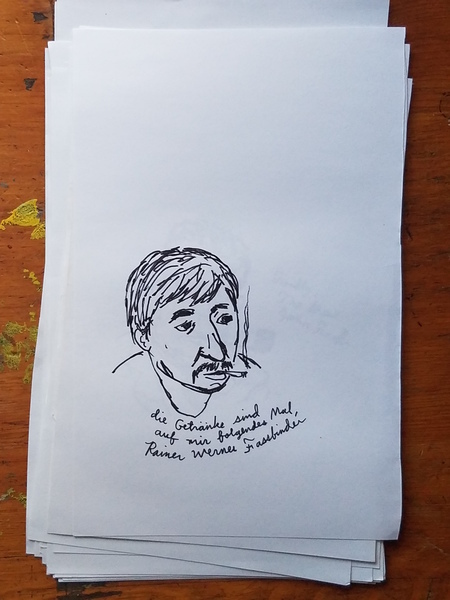 (I've indicated in the price menu which individual drawings have glued captions.) 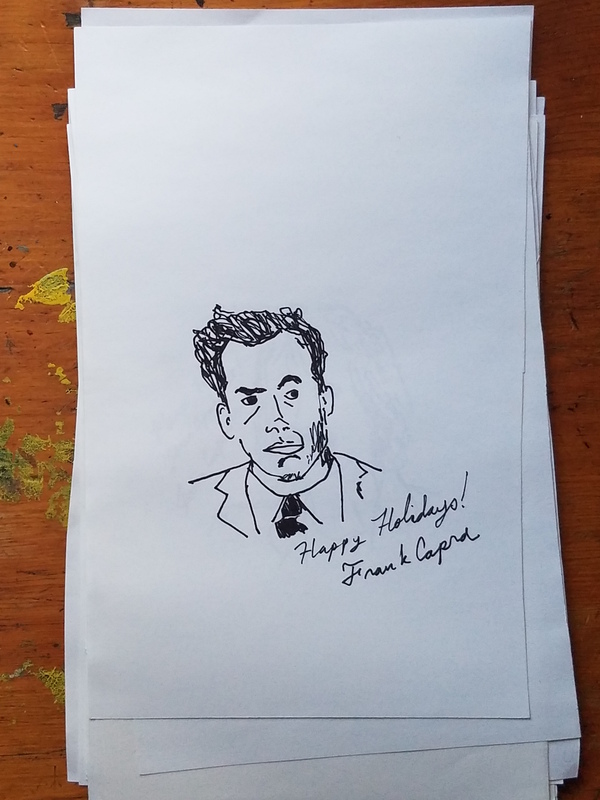 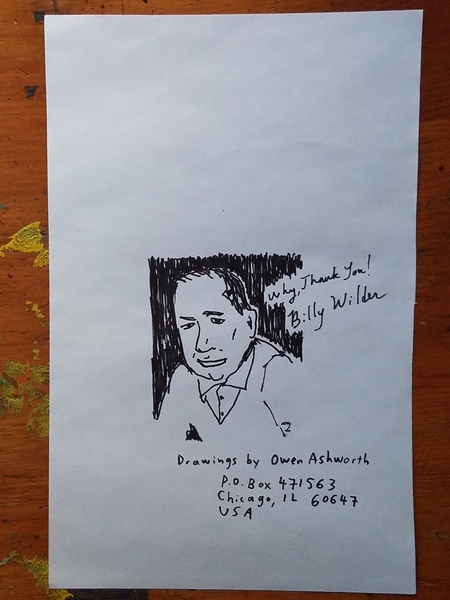 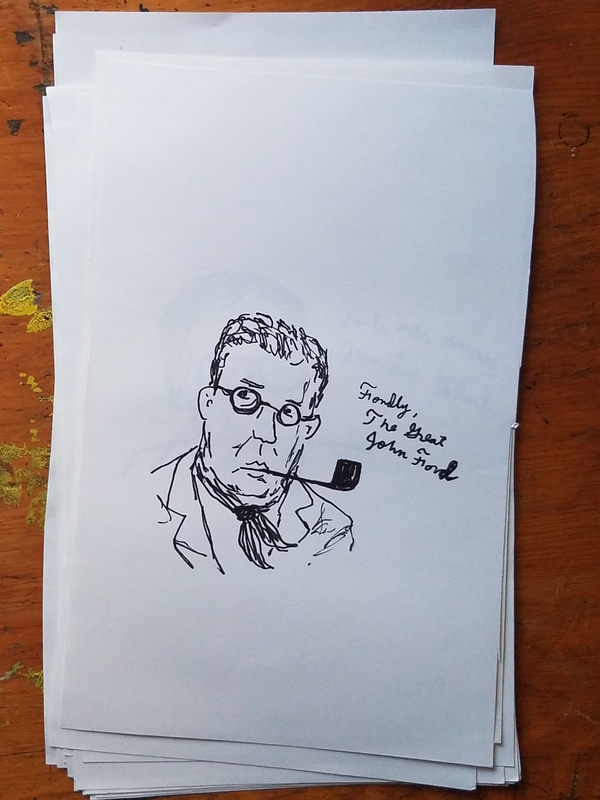 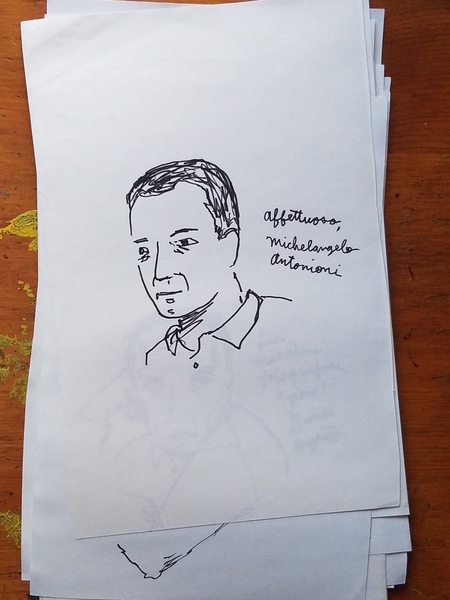 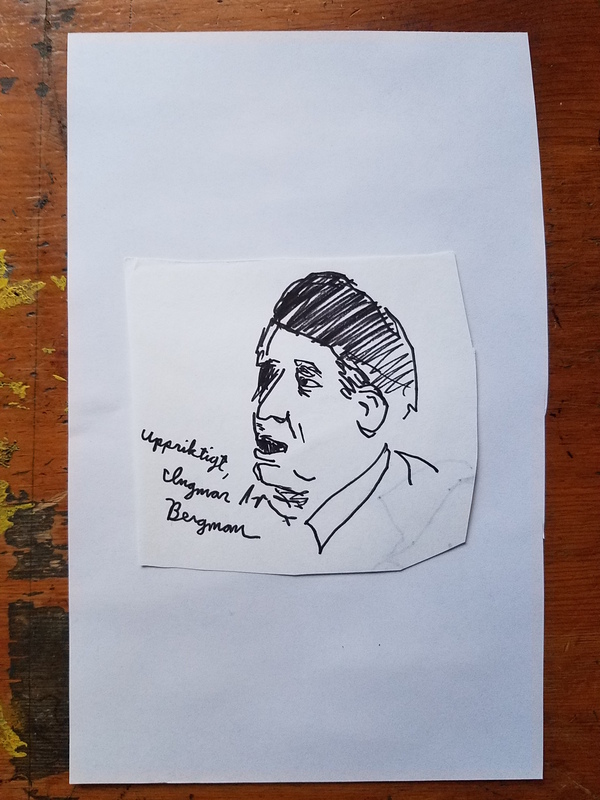 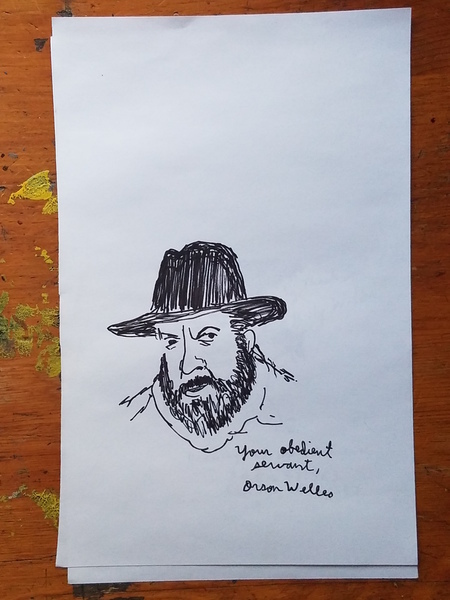 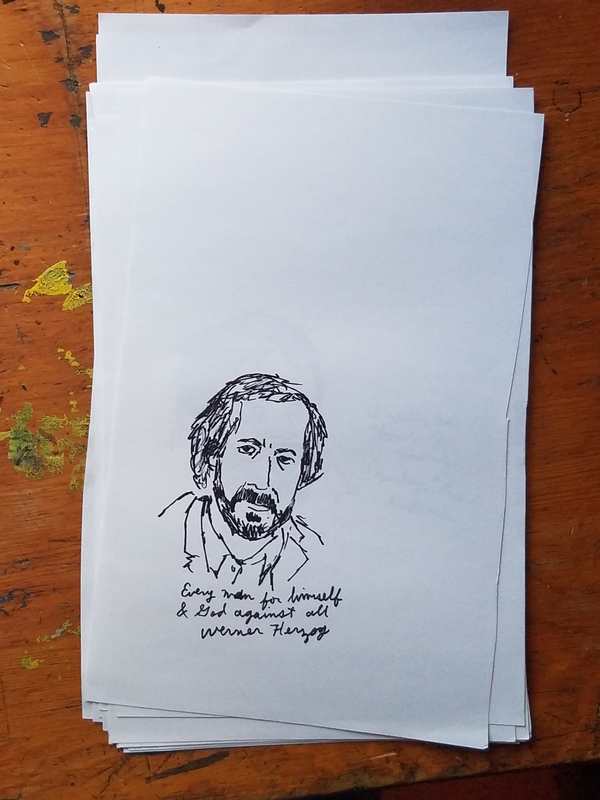 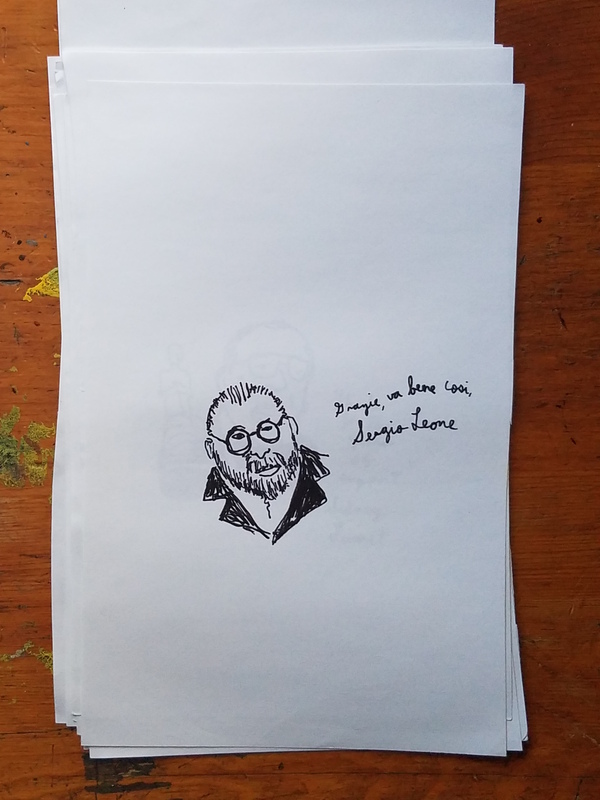 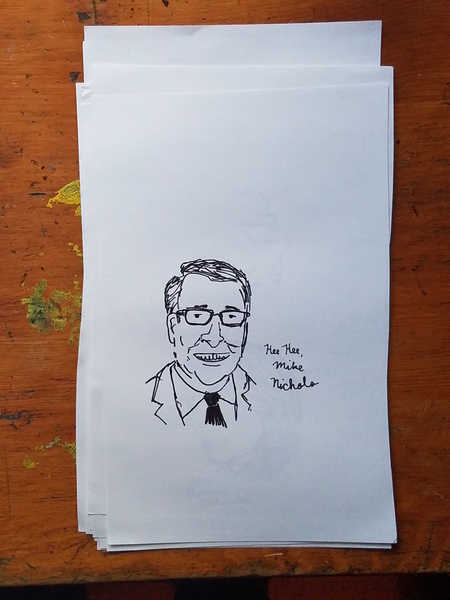 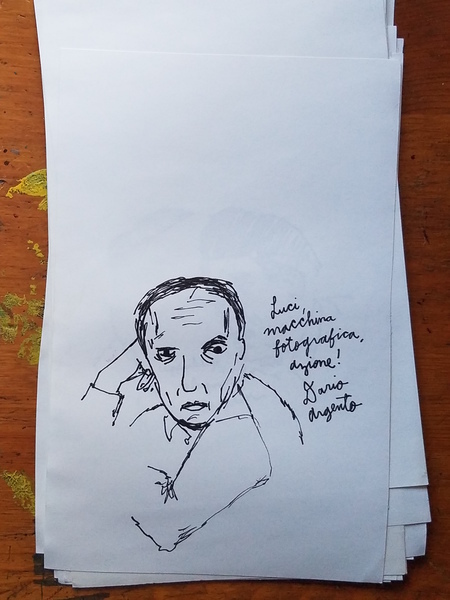 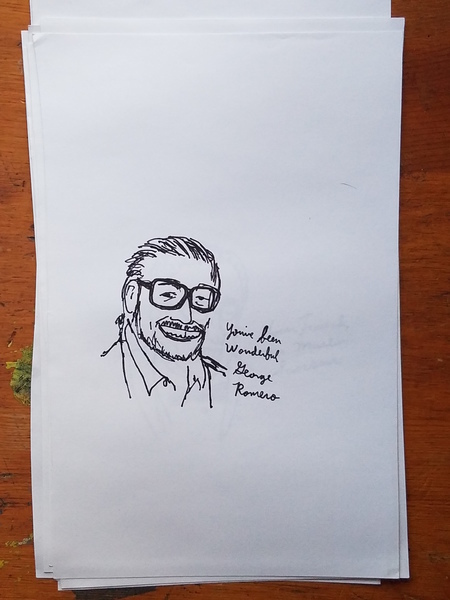 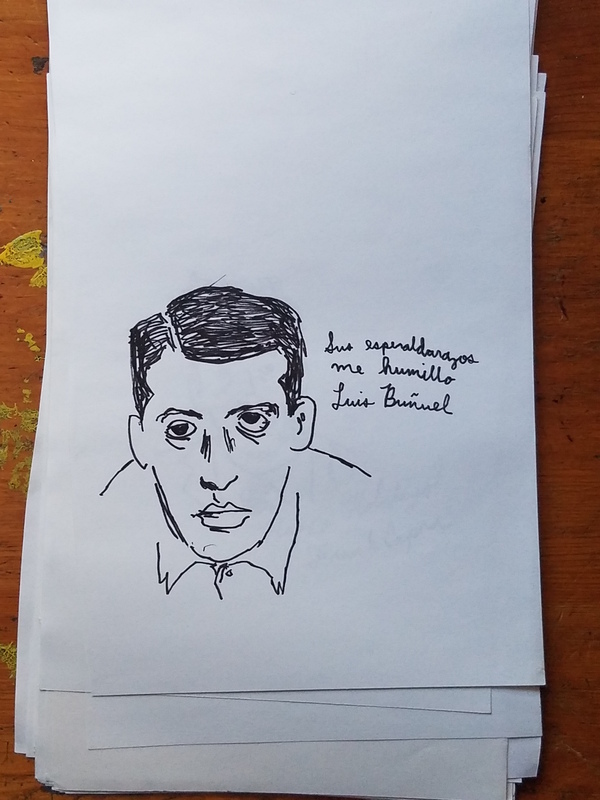 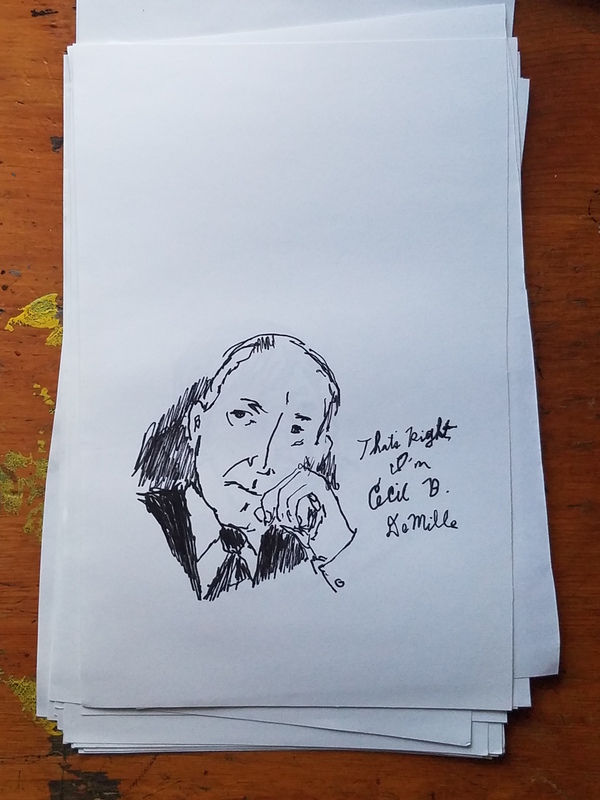 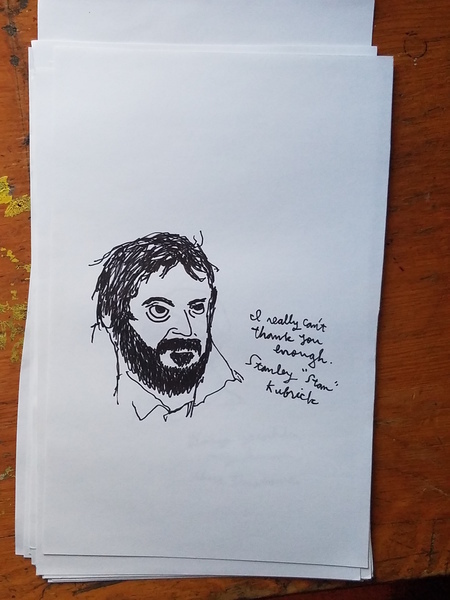 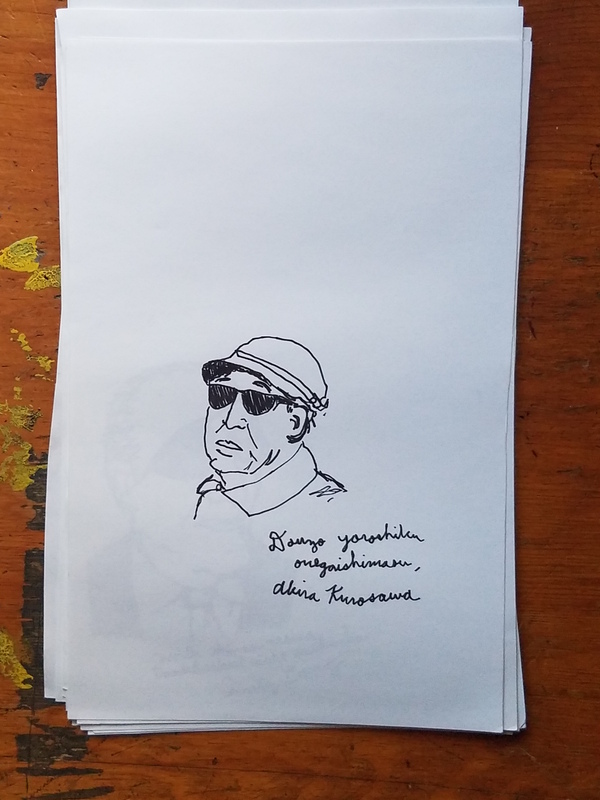 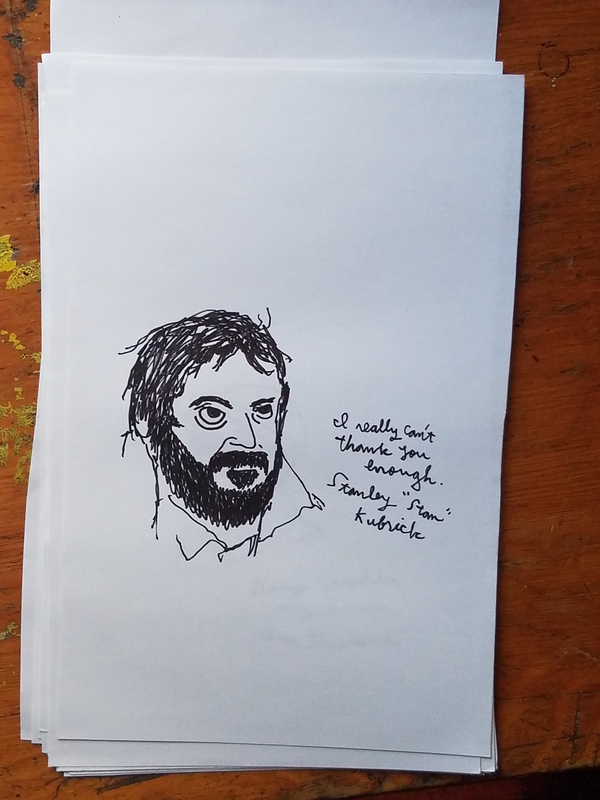 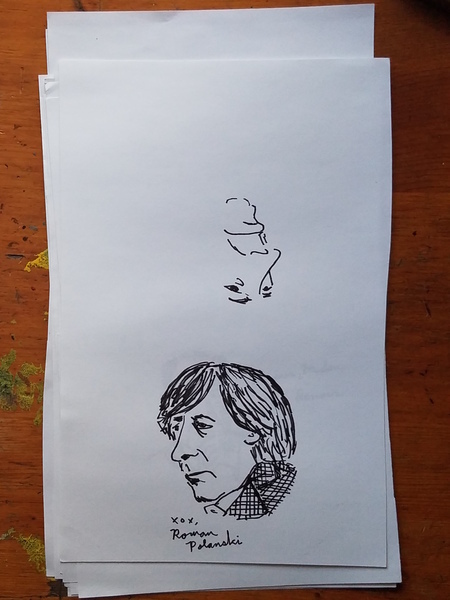 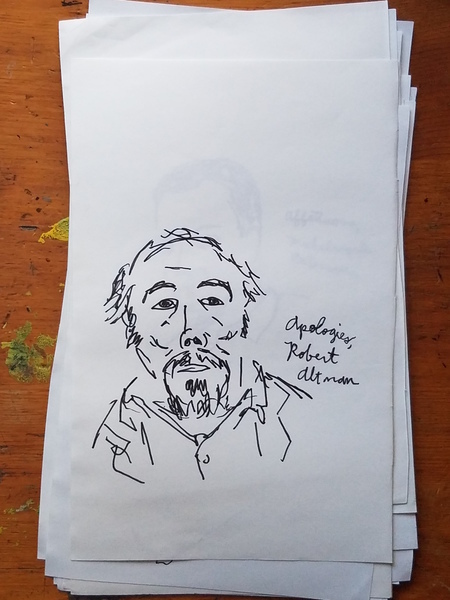 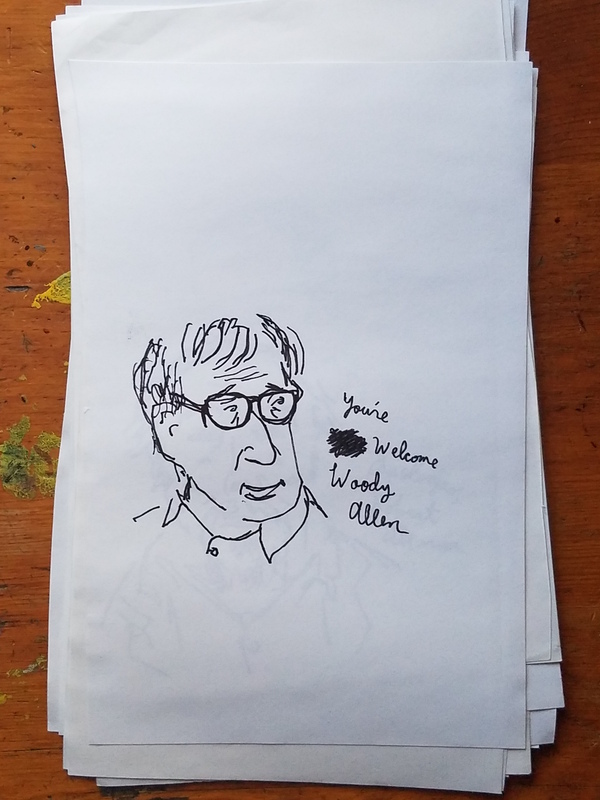 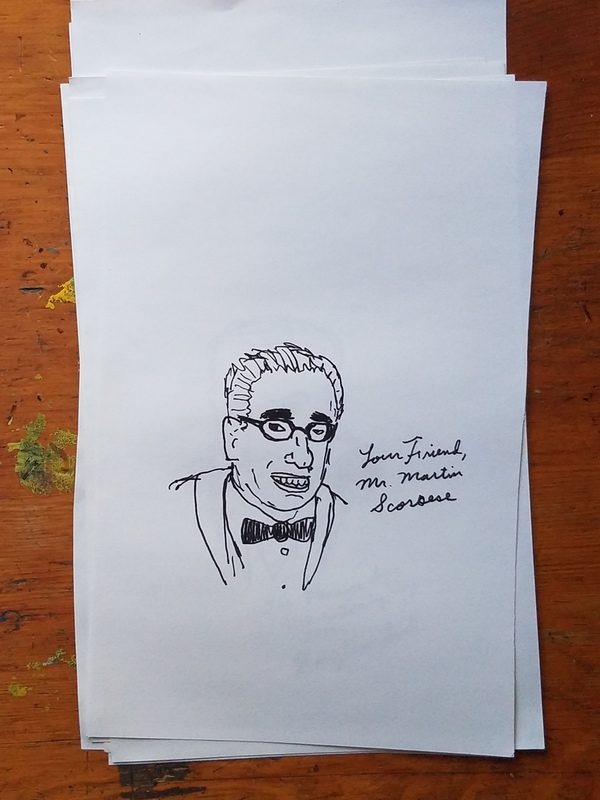 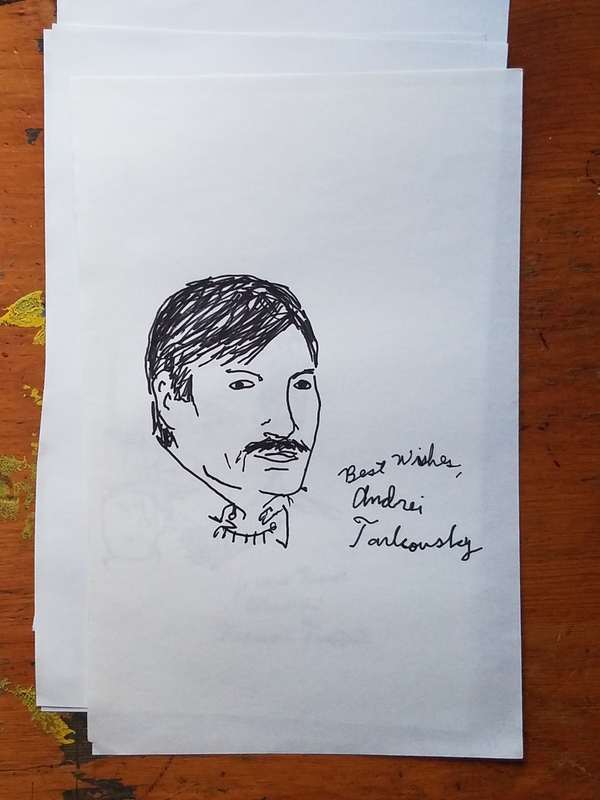 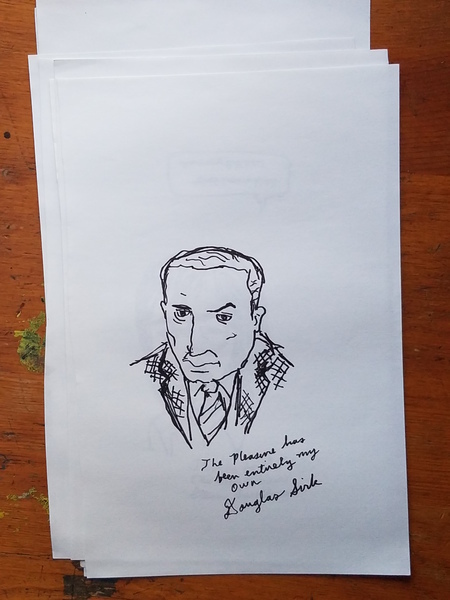 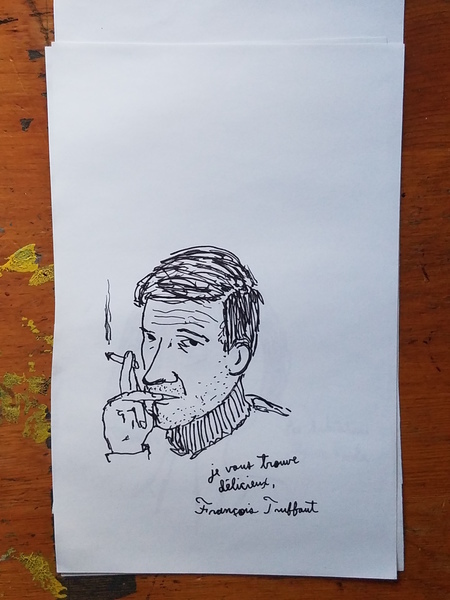 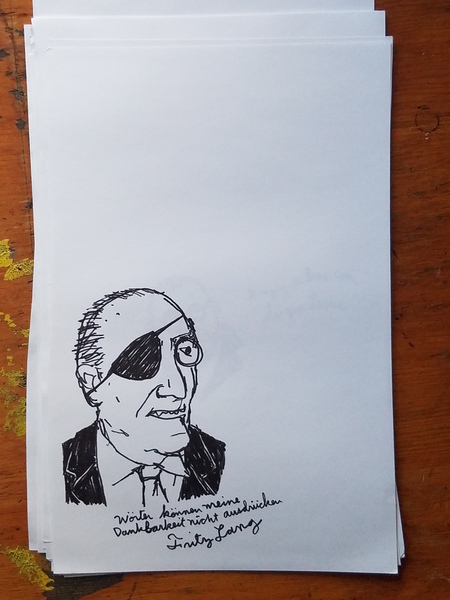 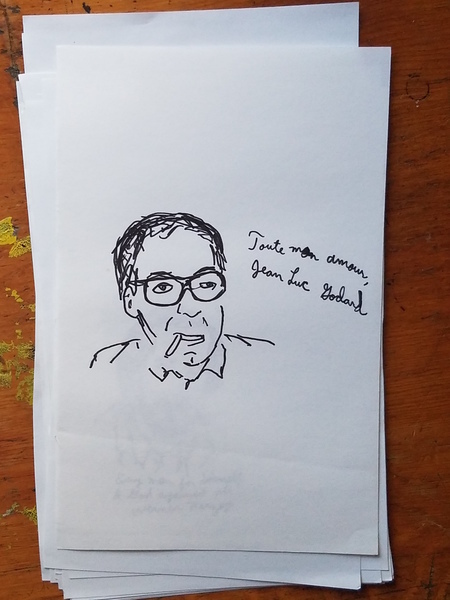 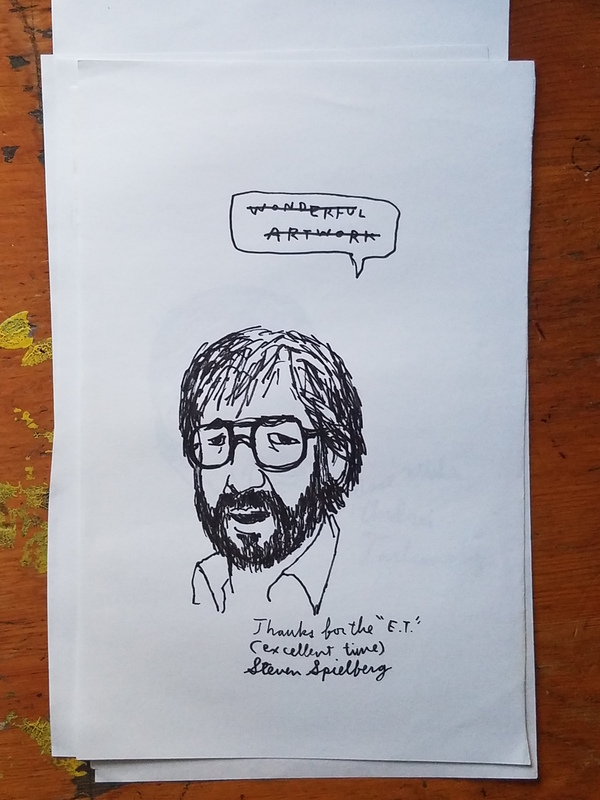 In some of the photos, you can see another drawing showing through from another piece of paper, but let me assure you that there is nothing drawn on the back of any of these drawings (except for the Ingmar Bergman one). 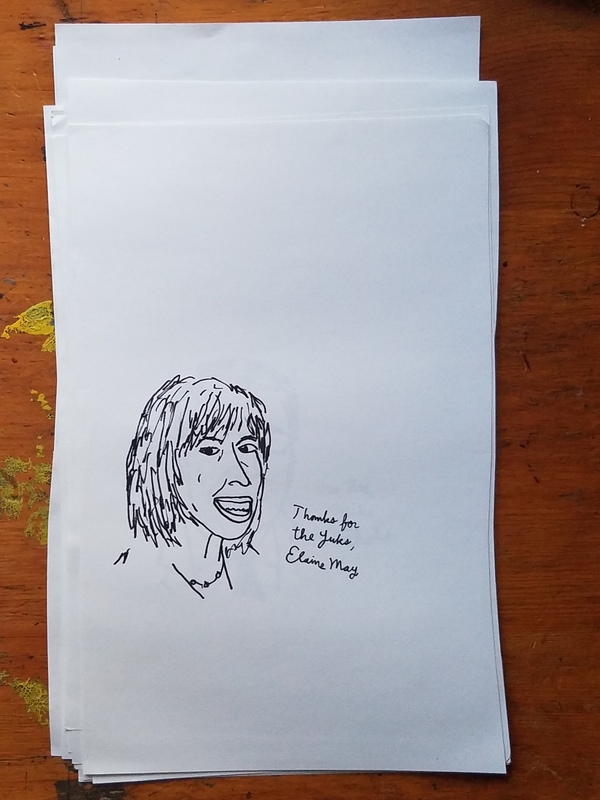 Otherwise, the drawings are exactly what they look like in the pictures, wrinkles & all.